Do you know what the top 3 biggest blocks to creating healthy boundaries are? Misinformation, lack of knowledge about the HOW, and plain old FEAR. 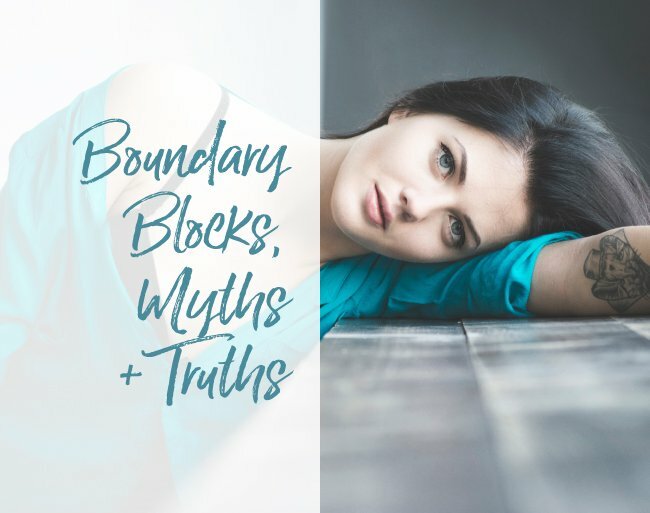 Our boundary conversation continues but before I share the top myths + truths about healthy boundaries, I want to make sure that you are signed up for the Big Beautiful Boundary Challenge starting next Monday, September 10th at 1pm EDT! Click this link, ladies: https://terricole.com/boundary-challenge so you don’t miss a thing! Let’s check out the top Boundary Myths that might be keeping you stuck in an old familiar but less than optimal boundary pattern. The more you know, the easier it is to make changes. Boundary Truth: Healthy boundaries serve to protect your relationships so they can thrive. The more you let people know what is okay and not okay with you, the more deeply they actually know you and understand your expectations. This doesn’t mean that they will always meet your expectations and your job is to share them so at least they have a shot. Don’t buy what the media, fairy tales, and crappy rom coms are selling! Healthy love is boundaried love, period. It is two whole humans that make up a solid union. Real healthy vibrant love isn’t like we see in the movies…it is so much better. Boundary Myth: Protecting your Boundaries makes you selfish. Hey – it’s easier to NOT have the challenging conversation, to claim “niceness” as the reason and then bad mouth the person to others or in your own mind for weeks, years, decades or your entire life. In reality, that is only easier in the short run because the long game of that strategy is tortuous and disastrous for your relationships. Being legit selfish is keeping vital information from the people you love the most. Boundary Truth: You could spend the rest of this lifetime cleaning up the mess that past unhealthy boundary disasters created. You got time for that? No, you do not. Boundary Truth: Setting boundaries can consistently be done with kindness. And when you really think about it, not setting boundaries and being dishonest is actually pretty mean. As you can see from the boundary myths and truths list above all of the myths are predicated on fear-based thinking. So why is it so scary to assert healthy boundaries? It all comes back to fear of rejection, abandonment or conflict. Be rest assured that none of those experiences is fatal and the more you can exercise drawing healthy boundaries, the more you will reap the rewards and the less threatening it will feel. To learn more about your unique boundary style and decode your biggest boundary challenges, I look forward to seeing you in our Big Beautiful Boundary challenge on 9/10! Also please sign up for the FB messenger option here so you’ll know when I’m going live and you won’t miss a thing! Please share this blog and the challenge with anyone you know could use this information. We transform the world by transforming ourselves (and up-leveling our boundary skill set!) – so the more people on this healing path, the better! 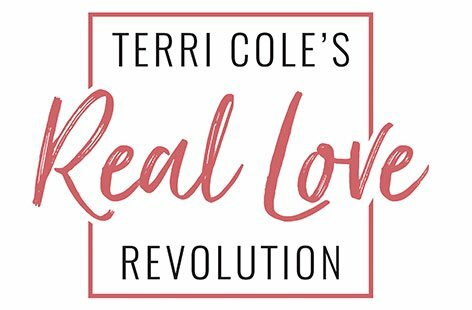 For more on Boundary Blocks, Myths + Truths join me tomorrow at 3pm EDT for Wednesday Wisdom’s deeper dive LIVE on my FB Biz page (Terri Cole, LCSW) or in my Real Love Revolution gals only FB group. Thanks for listening, watching, and sharing. Hi Terri, this is what I truly need to shake out the “crap” from my head and feelings. Yes, I am a codependent and yes, I am a mixture of all the boundaries, BECAUSE, YES, I was taught to be the good girl, to be quiet on the side, to be there early to help set up and then stay late to ” help” clean-up. And, that phrase, I don’t know HOW and where to start. Hope you will have another boundaries class in October. I am unable to participate in September because of all the holidays. You can sign up for the masterclass (there are 2 next week and one is on Thursday after the holiday is over) right here terricole.com/bbbmasterclass 😉 And if you can’t make any live and yo sign up we will send you the replay! Hi Terri, thanks for posting this, it is really helpful. While reading this, I was trying to figure out whether I was successful in setting boundaries in my previous attempt at a relationship with someone I dated. Unfortunately, it was really hard and I now realise how important it is to find the person respectful of your requests for boundaries. Sometimes people don’t accept what you ask of them of when you try to let them know some things are not ok with you, they’ll just let you know that if you won’t put up with nitpicking, deprecating comments, criticising what you do or not compromising, another person will. They usually try to convince you the problem is all you and your inability to be happy, bringing examples of people who can adapt to any sort of behaviour and still manage to be happy. Sometimes you run into people who make you feel horrible if you ask something of them and the only choice they leave you with is adapting to their terms. This really makes you feel like you just don’t matter and I ended up breaking up. How long do you think one should wait until seeing taking such a decision? This video really hit home. I feel like it’s the all-encompasing answer to so many problems in my life, not just in terms of relationships. I feel like when boundaries are blurred it never seems like there’s enough time, for yourself. Eventually that can lead to not knowing what you want or even who you are anymore, which is everything. It can leave you feeling completely drained – focusing on everyone elses problems with little strength to face the world or to pick yourself back up on your own, (again & again) because everyone in your life have come to expect you to be there only for them.. This is massive. The wisdom you’re sharing is beyond important Terri. There are so many dark paths a person can walk down without the knowledge and inplementation of healthy boundaries! Thank you infinitely for the work you do. It’s not an exaggeration to say that you’re potentially saving lives. And that is definitely me speaking my truth from my own experiences. Dear Terri cole, I am grateful to you, ur advice and teaching is Devine blessing, it saved my life now I am not afraid to say no when I am not comfortable, before I was self worthless girl always saying yes leaving my needs and doing for others still I did not have any respect, now I feel I am change, I feared and trust only in lord, ur teaching come in my life as blessing, I thank God lots of love to you. I am sooooo happy you’re here with us and that the content is helping you!